Stoves has completely re-engineered their Sterling collection for 2018, and the good new is that this established marque look pretty much as it did before - well, if it ain’t broke, why fix it? The Stoves Sterling is as popular as ever, but now benefits from a completely revised platform and some brilliant new features, which should all do wonders for sales. For range cooker nerds like ourselves there are some obvious physical differences, but the overall look is familiarly razor-sharp and highly contemporary, with the softly mirrored glass doors clad in brushed stainless or satin black steel and subtly improved matching control knobs and handles. 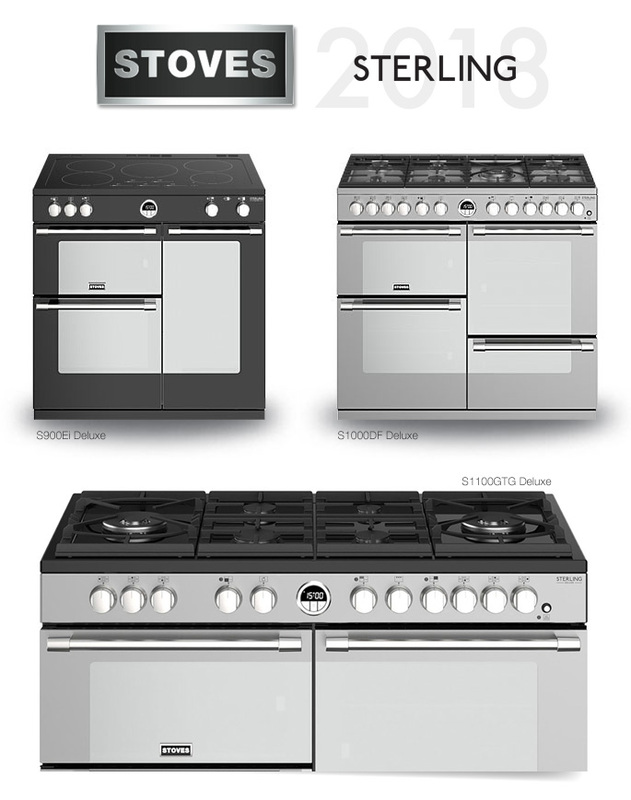 The Sterling is a great formula, and Stoves have retained and refined this look for 2018, as well as making available a wider range of choice by segmenting the offering into standard Sterling and Sterling Deluxe models, the latter being a more feature-rich range which stretches the pricing up towards £2500. In doing so these stunning and sturdy range cookers are competing more directly with their biggest rival, Rangemaster, which should prove interesting and is very good news for the consumer. cast iron pan supports have been redesigned from sunken to raised, giving better protection to the surrounding hotplate frame, and there is a new half-flat/half-ribbed griddle plate with every dual fuel or gas model, as well as a wok support on Deluxe. All Sterling models have A-rated ovens with Stoves’ excellent easy-clean enamel interiors and slide-out inner door glass. One significant change to 90cm models is that the tall door is now windowed rather than solid - a thoughtful touch that cooks will love. The grill cavity now doubles as a conventional oven, and 100 and 110cm formats have a slow-cook oven bottom right. The Sterling comes in three widths: 90, 100 and 110cm, with gas, dual fuel and electric models in each of these widths (all gas is available on Deluxe models only). Two finishes are available, a bright-looking brushed stainless steel with (on gas/dual models) stainless hob and a very handsome satin black with stainless steel trim and a black enamelled hob. *, with Deluxe models you are getting rather more for your money. double extension sliders which can now be re-positioned. © technology allows you to control and monitor the oven via a smartphone app. : This oven accessory is a vertical cooking system and skewer set designed to deliver healthy, flavourful food every time. 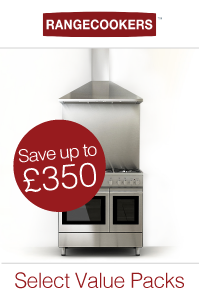 cavity splitter turns the tall oven into two independent fanned ovens, giving you a total of four ovens. 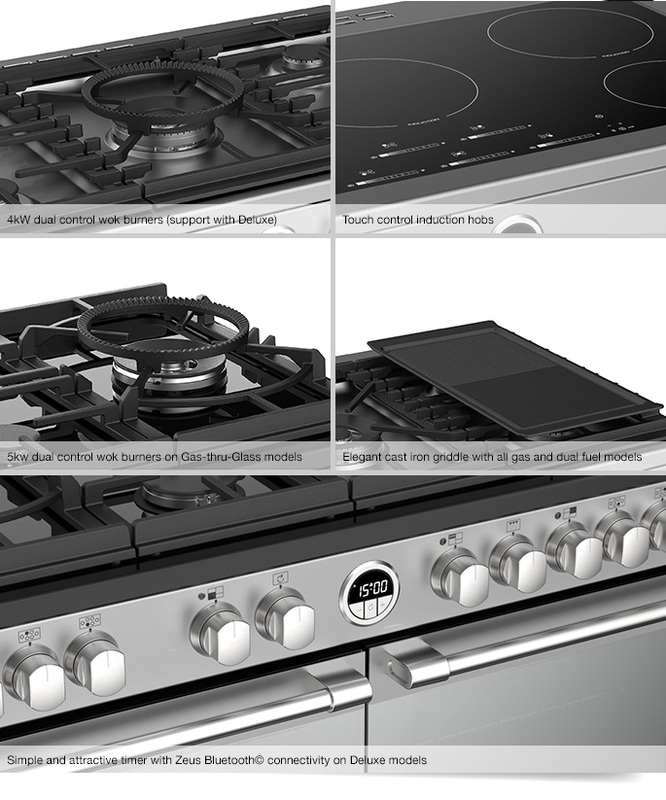 : Choose the GTG model to get all the cleaning simplicity of a ceramic surface with the benefits of a gas hob, plus a mega-powerful 5kW wok burner. Whichever model you choose the Stoves Sterling really is a superb-looking range cooker for the modern home, and the design team at Stoves have listened closely to what consumers had to say and then worked hard to produced a deeply improved new collection which gives people the features, quality and versatility people want without compromising the Sterling’s special looks. With a five year parts and one year labour warranty (extended to two years for free when purchased from Rangecookers.co.uk), the Stoves Sterling is a range built for the future but available right now, and we recommend you treat your home to one.